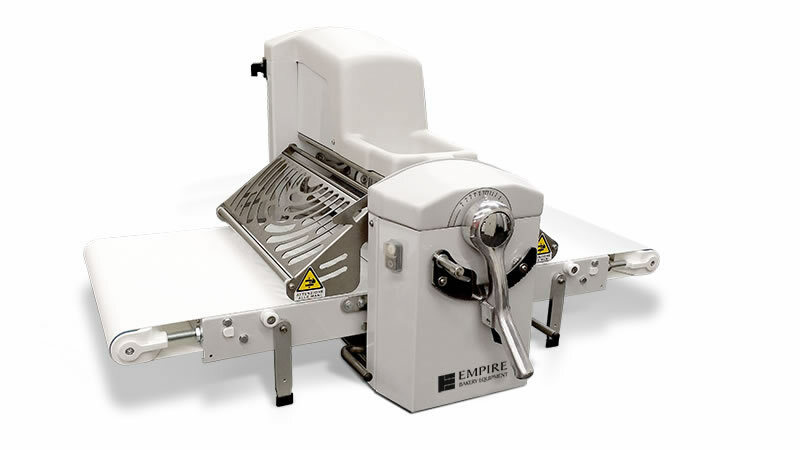 Empire’s Table Top Dough & Pastry Sheeters are the ultimate multi-tasking tool for your bakery. They are ideal for laminated dough, pie crusts, cookies, fondant, pet treats and so much more! 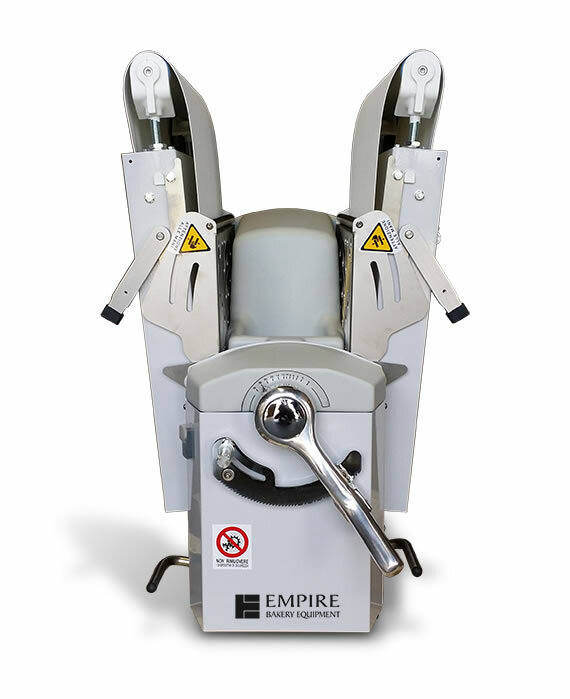 Just as durable and well made as their free standing counterpart, Empire Easy Table Top Dough Sheeters feature a compact design and rugged construction that will ensure years of trouble-free performance. Large diameter rollers and significant dough capacity provide consistent, high quality production. The easy-to-read thickness gauge and lever operated reversing arm are easy to use and allow for precise control, and removable polyethylene scrapers make cleaning a snap! 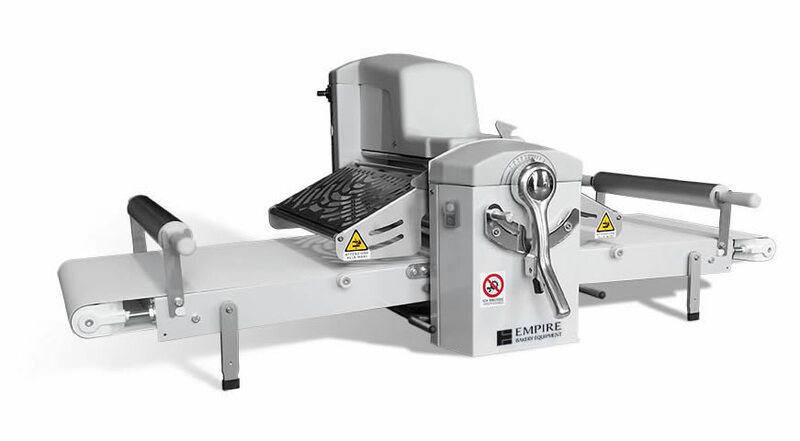 With all of its benefits, it’s easy to see why an Empire Easy Table Top Dough Sheeter is the must-have tool for your bakery. 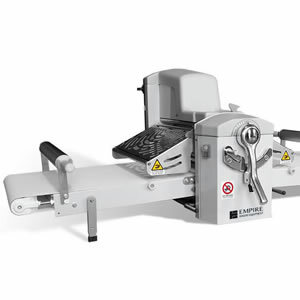 Great for Sheeting Any Kind of Laminated Dough, Fondant, Pie Crust and more. Removable Dough Scrapers are Easy-to- Clean. 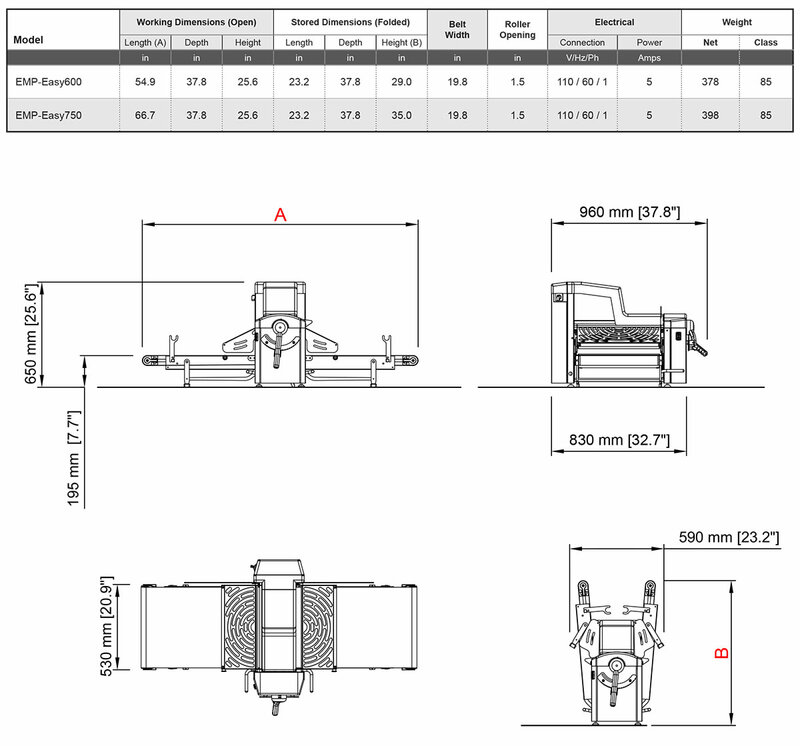 Safety Guards Provide Enhanced Protection. Rolling Pins and Supports Included. Net Weight - 398 lbs.